Ventilation systems get challenged by dust and debris which block air ducts and the furnace. If this contamination persists, it inhibits proper airflow, making the whole system overworked hence consuming more electricity. Regular cleaning is one of our services provided, and we can integrate you into our schedule. Call (707) 358-3050 for a free quote or fill out our quote form. We are proud to offer our clients professional air duct cleaning services which are certified by the state laws. Our experienced cleaners have got all that it takes to eliminate debris, dirt, and allergens that accumulate in the HVAC system. By cleaning the whole system, your home energy consumption reduces as a result of high efficiency. Did you know that indoor air contains more pollutants than outdoor air? 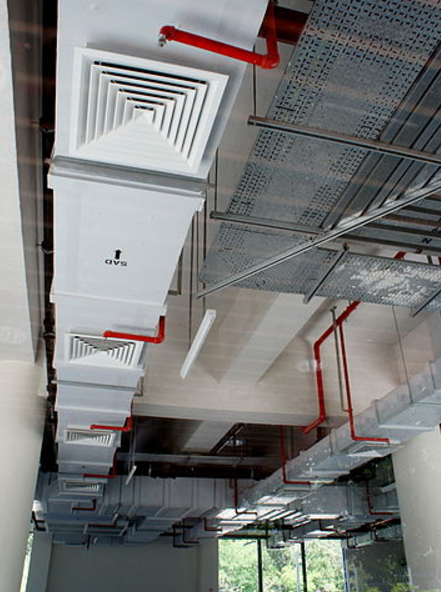 A dirty ventilation system restricts smooth flow of air as its components become less efficient. Call our company at (707) 358-3050. ​Reports show that an average six-roomed house can gather about 40 pounds of allergens, debris, and dust inside the air ducts. This is a huge health concern because a single ounce of dust can harbor up to 40 thousands dust mites and other micro-organisms like fungi, mold, and bacteria. Polluted air is distributed throughout the entire house whenever heating and cooling systems are switched on. A newly constructed house contains fine particles like sawdust. Leave this job to our professional cleaning crew if you want efficiency in your home ventilation. A restricted ventilation system costs more to maintain and operate. The problem becomes worse as time goes by. Unlike other cleaning companies, we are committed to providing certified and high standard services. Let your ductwork be taken care of by our professionals and you enjoy long term efficiency in your home energy use. In terms of allergen and dirt removal, our services go beyond carpet cleaning. Your job is to give us a call, and ours is to dust off the entire ductwork system, clean your HVAC units, evaporation coil, the blower and other associated components. Far from cleaning the ductwork, our professionals will clean your dryer vents so that you can save your house from possible dryer fire. You also save on energy bills. A healthy home starts in your ventilation system. As far as air duct hygiene is concerned, our services don’t cut corners and neither do we take anything for granted. We understand that airborne allergens are major health hazards in many homes and that is why our company consists of many certified technicians at your disposal to ensure that you live inside a clean and healthy environment. We use highly specialized equipment to dislodge dirt and debris. ​Call (707) 358-3050 now for free estimates.